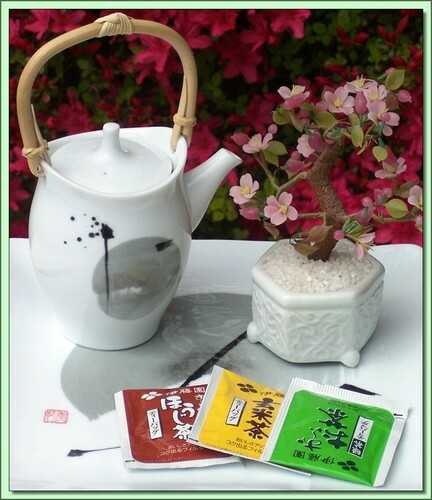 60 bag variety teabag set of different tasting Japanese green teas. Produced under ISO 14001 Certified Environmental Management Standards. 1) Oh-i-ocha sencha: This popular sencha in teabag form, produces a deep rich aroma and taste and a bright green tea color. 2) Houjicha: A fried green aromatic tea, light on the palate with a refreshing roasted flavor. It holds very little astringency. 3) Genmaicha: A blend of bancha green tea and Genmai (roasted rice grain). The flavor of Genmaicha is a melange of green tea and roasted rice.